5G is not just another G on the mobile technology evolution path. It is the fundamental platform for the fourth industrial revolution and will become an integral part of societies and civil infrastructures, just like roads, energy and transportation. 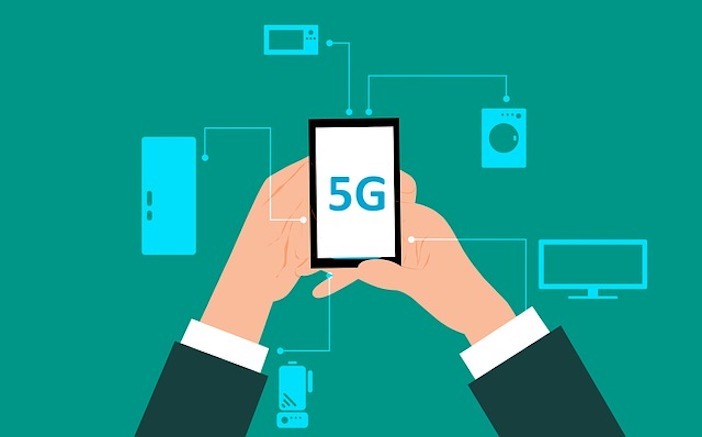 5G opens the era of virtual, purpose-made micro networks or slices, which organically adapt to varying customer and application needs in real-time and on-demand. For network operators, 5G will become the ultimate platform for true business innovation and new revenue streams. So, what makes 5G different and why does it become a paradigm shift, not just a rollout of another G? A key challenge for operators is that 5G requires a completely different approach to designing networks, managing and measuring them and assuring the quality of service they deliver. Network planning, implementation and maintenance evolves from isolated to integrated, from vertically oriented to horizontally collaborative and from technology-driven to service-driven platform solutions. As 5G becomes an integral component of civil infrastructure and a key digital society enabler rather than an isolated operator driven service production platform, 5G requires a completely different approach to operators’ operational model and life-cycle thinking, starting from network planning and site acquisition. Today networks are deployed into data centers, small managed regional hub containers and in various types of cellular sites like towers, rooftops, basements and maintenance rooms, all of which are isolated “territories” controlled and owned (or leased) by the operators. Tomorrow, network units will be found anywhere, there will be more of them and they will be small. Cell sites and core network nodes will be seamlessly integrated into surrounding infrastructure; they will be “hidden” into light poles, bus stops and billboards. Cities, municipalities and utilities with planning and investment cycles spanning decades are going to be in charge of this “site” infrastructure. These countless, small, ubiquitous sites will of course require high bandwidth backhaul (often fiber) and stable energy supplies hidden within the infrastructure. They will be shared with other private and public stakeholders with different planning and investment cycles. From that perspective, operators will find network and capacity planning truly challenging. Today, network and capacity planning and site acquisition are solely operator driven processes based on their own business parameters such as ARPU demographics, population density and historic consumption patterns. In the 5G era, the conventional operator business parameters are complemented with long term civil and public development plans, routes for self-driving buses, set in different evolving urban areas with mixed functions such as industry, manufacturing, residential and cultural areas, all with their diversity of stakeholders. These public development plans have to be made from a very long perspective. If a city plans to switch 100,000 street lights to LED bulbs in 2020, the next time those poles are upgraded might be in 30 years time. So, if operators want to equip those light poles with a backhaul fiber, suitable energy supplies and safe housing for the network nodes, an open and interactive collaboration with cities, municipalities, utilities and other stake holders is needed early on. When different stake holders with very different backgrounds and objectives share the same 5G planning arena, it is clear that a digital collaboration platform is needed to support the dialog and planning process between the operators, cities, utilities and more. The platform should provide contributors that do not necessarily have a Master’s degree in cellular technology, an easy, non-techy way to model what kind of 5G services are needed and where. Different contributors should be able to visualize 5G services with easy drag-and-drop functions in a 3D Virtual Reality space that simulate an actual urban environment. An open and collaborative platform would keep the planning process interactive and all participants up to date. If operators are to capture the full potential of the 5G promise, the 5G paradigm shift must begin right from the outset of their operational model, network planning. The 5G era must become a seamless and open joint effort between the operators themselves, and with municipalities and cities and other similar stakeholders in society. Sitowise is showcasing its 5G network VR modeling solutions at the Mobile World Congress Americas in Los Angeles on September 12-14th at the Finland Pavilion (Stand 1360). Other telecom, video, cybersecurity and IoT companies showcasing at the Finland Pavilion are Bcaster, Cloudstreet, CreaNord, Convergentia, Exomi, F-Secure, Kaitotek and Tosibox. Finland Pavilion is organized and funded by Business Finland’s Connectivity from Finland business acceleration program. Business Finland is fully-owned by the Finnish Government. Anssi Savisalo is a senior consultant and project manager at Sitowise, a global digital environment planning and consulting house, where he leads the 5G network planning and virtual reality modeling services and applications development. Savisalo has almost 20 years of experience in city planning and is a specialist in urban data management, 3D city modeling, integrated BIM and strategic land use planning. Business Finland is the Finnish innovation funding, trade, investment, and travel promotion organization, headquartered in Helsinki. It is fully owned by the Finnish Government. .